Check out this image from an Amazon notification that I received during the holiday season. It included imagery of the product (some black pajamas), a map of my neighborhood that indicates the location of my house, the current location of the delivery driver (the Santa sleigh), and a caption telling me Santa (aka Amazon) was just seven stops away and would deliver my package before 2:15pm. It is interesting to see how much information Amazon provides as part of their customer experience, especially when compared to the data we observe in ServiceTrade. Amazon knows that it is almost impossible to give the customer too much information, and yet most commercial service contractors completely ignore this lesson. Currently, fewer than 2% of ServiceTrade work orders include a notification to the customer that the technician is en route. The feature is an easy one for technicians to access, but they just don’t do it. It’s a shame, because Amazon is not a fool. They know that customer loyalty stems from winning the information arms race. Customers LOVE to know what is happening, especially if it involves zero effort on their part to dig the information out of the supplier. If it is simply offered as part of the service experience, it creates positive feelings about the service brand. The notification creates a dopamine response from the anticipation that something good is about to happen. That little jolt of feel good neurotransmitter goes a long way in justifying higher prices during the next contract negotiation. How easy is it for you to measure the number of digital records you transmit to your customers as part of your service experience (marketing impressions per service or MIPS)? Do you hold technicians accountable for generating en route notifications, before and after videos and pictures, deficiency records documenting equipment failure risks, review requests to boost search engine optimization? If not, why not? ServiceTrade measures all of these MIPS so that it is easy for you to monitor your success in sharing rich service records that keep the customer engaged and delighted in your work. Amazon knows there is no such thing as too much information. Isn’t it time that your service business took that lesson to heart? 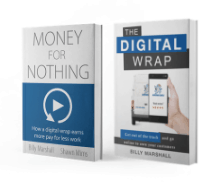 http://servicetrade.com/wp-content/uploads/2016/03/SERVICE_TRADE_LOGO_NO_TAGLINE_340x156.png 0 0 Billy Marshall http://servicetrade.com/wp-content/uploads/2016/03/SERVICE_TRADE_LOGO_NO_TAGLINE_340x156.png Billy Marshall2019-01-31 09:09:292019-01-31 09:09:29How much information is too much? This is a great feature. It is true my technicians don’t use it often enough. This is a great argument though, I am definitely going to share this!